Experience Russian culture and heritage first-hand with a traditional dinner and theater show in Moscow. Set out for the capital city's Suvorov restaurant where you'll begin with a helping of zakuski, or Russian appetizers, followed by a buffet dinner. 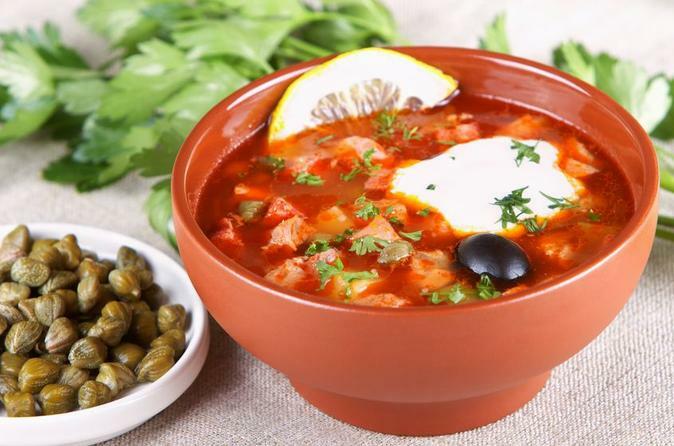 Sample classic Russian specialties like shchi (cabbage soup), Olivier salad and stuffed pirozhki from a selection of nearly 100 various dishes. Afterward, head to the theater to take in the spectacular Russian national dance show “Kostroma,” performed by the Russian National Ballet.